Fred Conklin is a starter. In 1982 Fred founded Conklin & Conklin, Inc. of Milford Connecticut. Conklin and Conklin was a firm that specialized in Business Information and Systems Consulting for fortune 1000 companies. As President and CEO Fred lead the organization to become strategic partners with Hewlett Packard, Oracle, Lawson Software, and Microsoft Corporation implementing integrated financial systems. After a successful sale of the company in 1999 Fred began doing volunteer work with the Luis Palau Association of Portland, Oregon. His work had him traveling all around the world with Luis Palau. Fred was also very involved with key city festivals such as New York City and Washington DC. Fred is now a full-time staff person on the Palau team. He is a member of the Luis Palau Association President’s Council and he serves as Special Representative for the President. 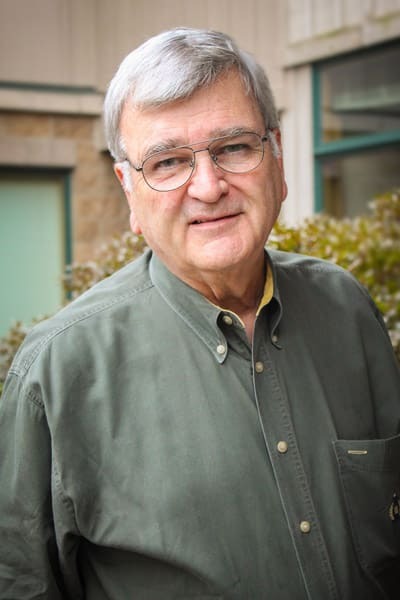 Most recently Mr. Conklin has been assigned the task of overseeing the development of a large-scale database of City Gospel Movements around the world. He also spends a good deal of time directly working with City Gospel Movements in the Northeast part of the United States. When he is not traveling or tending his prized tomato plants, he spends time with his wife Nancy, his two daughters and two granddaughters at his homes in Connecticut and Arizona. Check out this article I found at City Gospel Movement's website https://citygospelmovements.org/about/fred-conklin/.